Benchmarking has been proven to support and lead significant levels of performance improvement and deliver tangible rewards. Current benchmarking organisations in NZ are using KPIs to measure and benchmark performance and drive improvement across their portfolios. Benchmarking is enabling them to provide evidence to clients that they are delivering high quality projects on time and on budget, safely and to highly satisfied client organisations. One such organisation reports a regular enhanced margin of some $50k per project. Reporting Industry Performance trend data. Encouraging and demonstrating industry improvement. Showcasing the business case for change. Clients such as Auckland Transport, NZTA, Christchurch City Council and NZDF are using benchmarking on schemes to drive performance improvement on their contracts and to deliver enhanced value for money for the tax payers’ dollar. Performance Measurement and Benchmarking enables organisations to understand how they are performing at a project and company level. It provides them with the practical management information that they require to drive effective decision making and to improve performance and project outcomes. Critical to this process are the improvement strategies implemented to drive performance improvement and the capability to then review the impact of the relevant improvement strategies. 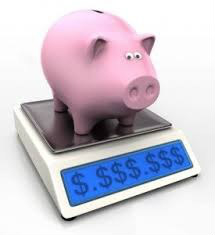 In short, the continuation of a relevant, practical and up-to-date benchmarking programme for CCG members will enable us to ‘weigh the pig’ and then put the strategies into place to then ‘fatten the pig’ and drive project, organisation and industry improvement.